Creative pet group everyday wash wipes provide a fast and easy way to keep your pet cleaned up between baths! These are moistened with natural ingredients, including Aloe to keep your pet's fur soft and fresh. These everyday wipes help to prevent irritation and infections. Leaves your pet smelling great with a fresh scent. 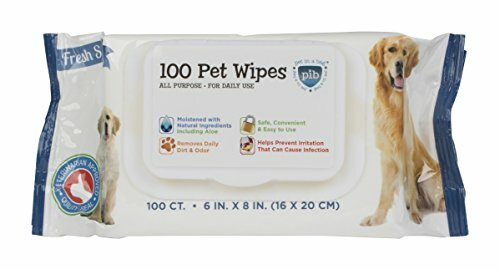 Contains 100 wipes. Provide a fast and easy way to keep your pet cleaned up between baths! Keeps your pet's fur soft and fresh. Helps to prevent irritation and infections. If you have any questions about this product by Pet in a Bag, contact us by completing and submitting the form below. If you are looking for a specif part number, please include it with your message.